For those of you who are intimidated by the Glue-On Process, this is a great, easy, and cost effective alternative. I have referenced an old blog about this "ghetto" style glue job so many times that I have decided to bring the topic back to the surface. First and foremost, please bear in mind that the guidelines Easy Care provides for gluing boots on cannot be beaten, it is by far the safest and most effective way to glue your brand new Easy Boot Glue-Ons or EasyShoes. You will notice that when it really matters, for example at Tevis, I follow their prescribed method to a "T." There are times when you just don't want to mess around or take any risk. 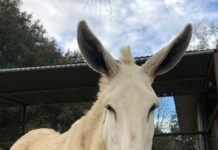 Feel free to find out a little more about how I, personally, decide which product to use for each challenge by reading The Way I Do It – by Tennessee Lane. The Sik Method is not my first choice, but it quickly becomes my first choice when my usual first choice gets knocked off my menu of options, or if I'm feeling lazy… or cheap. However, I have used the Sik method many many times with great success. Yes, I have done multi days (multiple days of 50 milers back to back,) and even 100-milers in a set of broken-down old Gloves. As I mentioned, I use this method out of necessity, laziness (because it is VERY easy and stress-free,) and if I have an old set of Gloves ready for retirement. How do you do it? You just Sik'm on there! 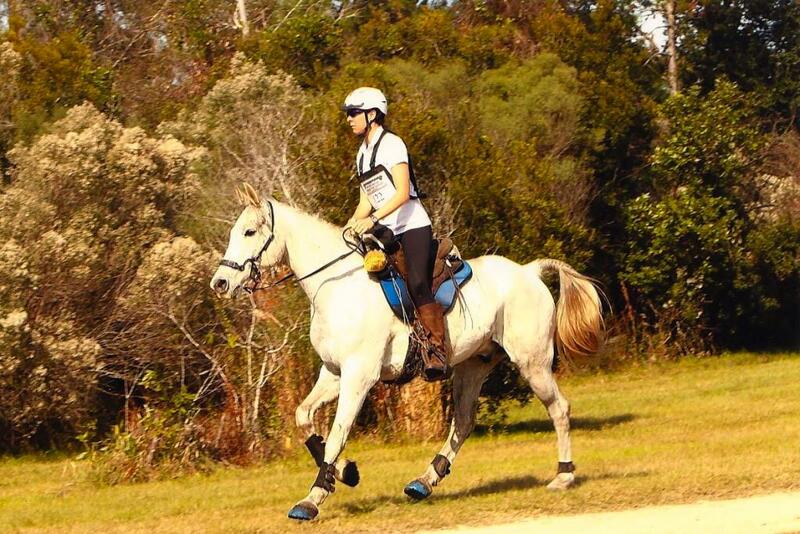 Above, Tennessee gallops Shazam out of the vet check at the North American 100 mile Championship ride, having used this Sik Method. Scenario: You've been training/riding your horse while he wears Easyboot Gloves, maybe you've been racing in them too, they still have some useable tread on there but they really are a little tore up. The gators and hardware are trashed, they're stretched out, they've got holes in the toes, they've done some hard time, and it's time to order up a new set. Don't throw them away! Use this Sik method to glue them on for your next multi-day! Go ahead and order your next set of Easyboot Gloves while your at it, this will be your old set's last hurrah. You will need: Your horse, your hoof trimming equipment, your old EasyBoot Gloves, a caulking gun, 1 tube of SikaFlex 227, 1 popsicle stick, 1 phillips screwdriver (also great to have rubber/latex gloves, alcohol in a spray bottle, a tall Gin and Tonic.) This process must be done at LEAST 1 day prior to riding your horse. For example, do it the evening before your big ride so the glue can set up over night. This is NOT an option for a horse that will stand and paw afterward, he will paw off the boots. Toss them in a bucket of soapy water to soak. Scrub them out thoroughly. Use your screwdriver to scrape out any dirt that might have gotten compacted in the toe. Rinse them out thoroughly to insure the soap, dirt etc is off. Set them upside down to dry like dishes. Consider spraying the insides down with alcohol, totally optional though (don't wipe them down with alcohol, the remnants and dust from your paper towel is no bueno for glue.) Set them upside down to dry thoroughly and leave them upside down until you are ready to put the glue in them, this will insure that all the dust from your horse moving around doesn't settle on and stick to your nice clean boots. Make sure your horse is trimmed as you would usually trim him before your ride. Easyboot Gloves are meant to be worn over a nice fresh trim so they fit like a GLOVE. Use a wire brush to scrub/scrape any dirt from the hoof wall. The hoof should be dry but this process will even work on a damp hoof as long as it is very clean. Consider spraying the hoof wall and sole down with alcohol, helpful but not necessary to this process. This prep is the same as the usual Glue-On protocol, however, the Sik method is much more forgiving, for example it will work fine on hooves and boots that are not immaculately clean or dry. Just do the best you can under your circumstances and don't stress about it. Put on your rubber/latex gloves and use your caulking gun to apply SikaFlex 227 in a triangle at the base of the boot where the frog will be in contact with the boot. The more concave the hoof, the more glue you will need to fill that concavity. It is important to fill the concavity of the frog but not overfill it. That part is exactly the same as the approved EasyBoot Glue-On Protocol, but here's where the Sik method diverges… Squeeze SikaFlex onto your popsicle stick like you are putting toothpaste on your toothbrush. Use the popsicle stick to "paint" a solid layer of SikaFlex on the inner vertical wall of the boot. 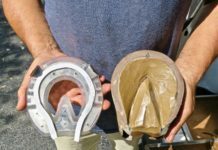 The layer should be about as thick as a dime and should cover the entire wall which will soon be in contact with your horse's clean hoof wall. Take your time, have a seat, have a sip of that gin and tonic. You are working with SikaFlex, not Adhere, so time really isn't of the essence here, chillax. One tube of SikaFlex will be perfect for all 4 boots. Put the Gloves on your horse like you always have. They will slide on and twist around a little easier than they normally do because there is a slimy layer of SikaFlex lubricating everything. Once it's all the way on, twist it back and forth a couple times (clockwise and counterclockwise) just a 1/4 to 1/2 inch to make sure the glue has effectively smeared onto the hoofwall. Make sure the boot is on straight and set the hoof down. Velcro the gators on tight. 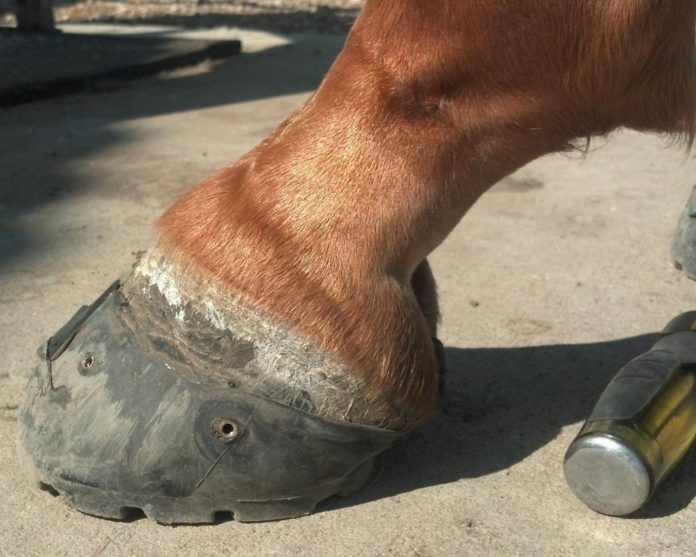 If you put way too much glue in the frog, it will squirt out the heel, wipe it out or this glue will attach the gator to the horse's heel bulbs and the back of his pastern which is no bueno (you'll end up "waxing" him when your remove the gators, youch! Yet still functional with bald heels LOL.) Excessive glue will also cause the boot to slide around and twist excessively but don't worry, it's salvageable. The Sikaflex takes a while to set up. If the boot twists, just calmly pick the hoof up, straighten it out and put it back down. Let your horse stand there, maybe feed him for entertainment's sake, and allow that glue to set up a little bit. Unlike adhere, this glue will be setting up for the next 8 hours. If he twists a boot, just straighten it out. Have a sip of that gin and tonic, talk to your neighbors, play fetch with the dog, call your mom, clean a stall, just give it a little time, at least 10 minutes. Keep an eye on him and if he twists, straighten it and re-tighten the gator. 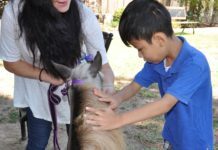 It's easy to waste time around your horse for 10 minutes or even an hour to check on him. Put your horse back in his run (or back on his HiTie or load him in the trailer for your 6 hour drive to the race,) with the glue still wet and his gators on tight. It seems crazy, I know. But it works. Just walk away. Step 8: Remove the gators & Voila! When the glue is set up (6-8 hours later) use your screwdriver to unscrew all of the hardware on each boot and tear those nasty old gators off. Retire them permanently, or if you're really a hoarder, then keep them around for spare parts. Voila! You've got boots glued-on for your ride, no gators to worry about. Yes, the screw "backings" remain behind and are harmless hitch-hikers. I traveled through an ice storm and -37 degree temps to FL to represent the mountain zone at a championship 100-mile ride. I was very sad to find out shortly before the race that my adhere had frozen and gone bad. It was too late to acquire new Adhere but I had what I needed to Sik'm on (a full set of Easyboot Gloves that fit him and a tube of SikaFlex.) I Sik'd them on Shazam in the pouring rain, threw him in the trailer with wet glue for the last leg of our journey, and he stepped out of the trailer ready to race. We ran 100 miles in 10hours wearing ghetto, Sika'd on gloves and he was the fastest mountain horse to complete. The only problem was that I had packed nice new Gloves as my spares so 1st of all, I wrecked a perfectly new pair of Gloves, and 2nd of all, I totally forgot to loosen the screws and had to cut the rubber to get the gators off. But the boots were in great shape at the finish of the 100 and were difficult to remove even weeks later. I spared you the pictures of me gluing them on in the rain and mud. My beast of a mare thinks it's her job to test the strength of gators. There's no way I was going to make this set of old glove last 3 days of extreme terrain attached to the hooves of a freight train. I Sik'd them on and she smoked through 3 days and 155mile of rough terrain and high speed in a pair of gloves that were literally about to go in the trash, in fact two of them even had large holes in the toes – it doesn't matter once they're glue-on, as long as there's amply tread to protect the bottom of the hoof. I slapped these babies on a horse that was totally freaking out and I was in such a hurry. There was glue everywhere. It was the shoddiest job I've ever seen. I was so "over it" and I had to go so I just threw him in the pasture, the boots were so sloppy and still making sloshing noises, and the horse was FREAKING out back in the pasture, literally pacing at a gallop. I figured they would be off or worse – glued on backwards the next morning. But they weren't. The next morning (yes there was glue EVERYwhere) the boots were on fine. I unscrewed the gators, tore them off, and rode the ever-loving snot out of that horse for the next 6 days in a row – hard, steep, mountain work. Boots were fine, horse was even better. I'm not really sure where to stop with the proof because I have done quite a few 100s and tons of multi days with ancient, tore-up, old Easyboot Gloves that I just Sik'd on for one last hurrah. It's crazy the mileage you can get out of these things, and this is the best way to get some awesome final mileage out of a set. It's not artwork, but it's a great alternative for someone looking for alternatives. Although I always use new Glue-On shells and follow the extreme protocol for important rides, I do this "Sik" method often, and I feel like I'm cheating. Give it a try, it's so Easy! Previous articleWhat Is It To You?